SAN FRANCISCO — The Japanese Cultural and Community Center of Northern California presents “Sunday Night Sushi,” a night out to learn how to roll sushi and prepare nigiri sushi from professional chef Alan Hirahara. The hands-on workshop will be held Sunday, March 24, from 3 to 5 p.m. at the JCCCNC, 1840 Sutter St. in San Francisco Japantown. Fees: $45 for member, $70 for non-members. Early bird fee: $15 off for non-member before March 10. 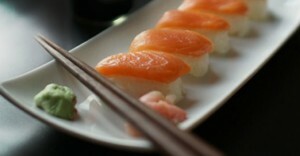 Go to http://sundaynightsushi.brownpapertickets.com/ and enter discount code SushiFunday. To register, call (415) 567-5505, email [email protected] or register through Brown Paper Tickets. Space is limited to the first 24 paid registrants.